House Seestern is tiled throughout and comes with under-floor heating. Table & comfortable chairs, large BBQ (LPG), a “Strandkorb” and add. deck chairs. Extra large garage. 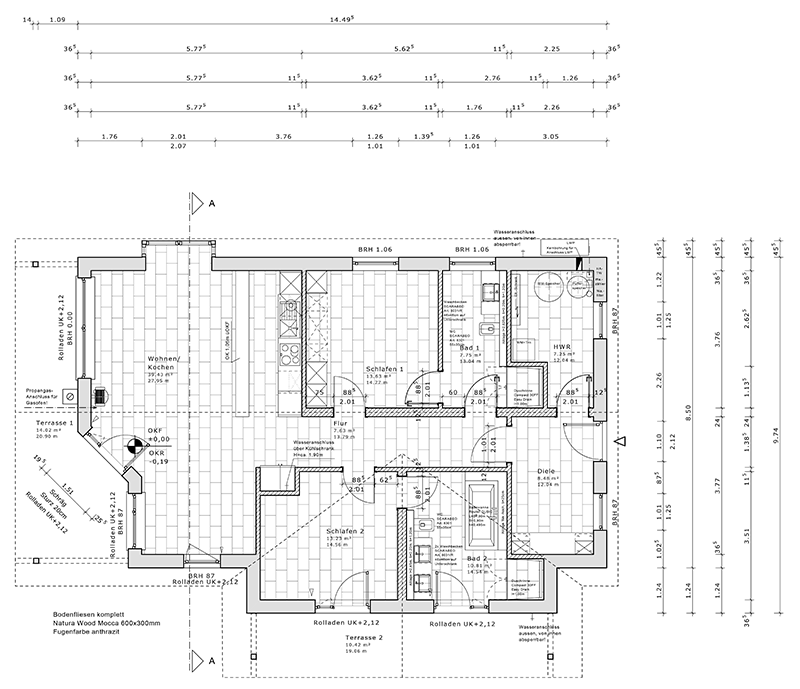 Please have a look at the floor plan here. 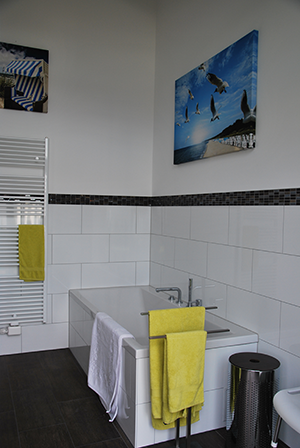 Our house Seestern is a 2013 newly built designer bungalow with mostly individually designed furniture. We deliberately refrained from the installation of stairs and galleries to preserve the openness and generosity of the room heights (gable height 5m). The light-flooded living and dining area is particularly impressive thanks to a window front that up into the roof top and boast with great light & views. All rooms are subject to a uniform minimalistic design concept. High-quality queen beds with boxspring mattresses guarantee a relaxing sleep. On the spacious deck you can enjoy the sun and the almost endless sky in the evening hours and enjoy beautiful sunsets over the sea. Our fit out offers everything for truly relaxing & unpretentious holidays with a little touch of luxury. We took great effort to make everything as functional and comfortable as possible. If you find anything missing, please let us know.